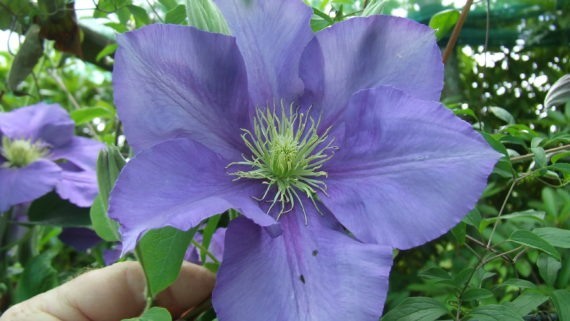 Large mauve-blue flowers with creamy white filaments and yellow anthers. There us a faint red or pink bar running from the base to about half way along the tepal. 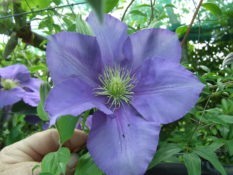 A very free-flowering clematis probably raised by Brother Stefan Franczak of Poland in 1965.